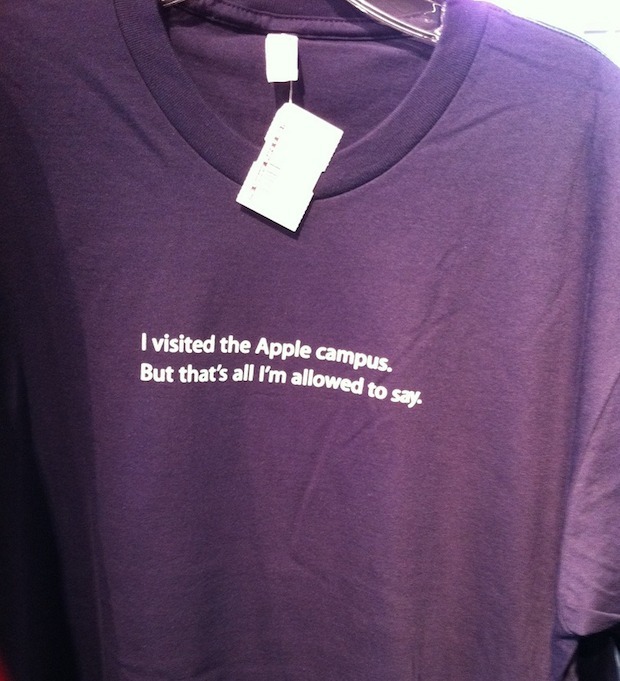 You’ve always been able to buy Apple t-shirts and gear at the Company Store, but this looks like a new addition for 2011. The Apple Company Store is located at 1 Infinite Loop in Cupertino California, it even has its own website, but you can’t order anything online, so if you want one of these you’ll have to make the trip yourself. This picture comes from Flickr, thanks for sending this in Lee!